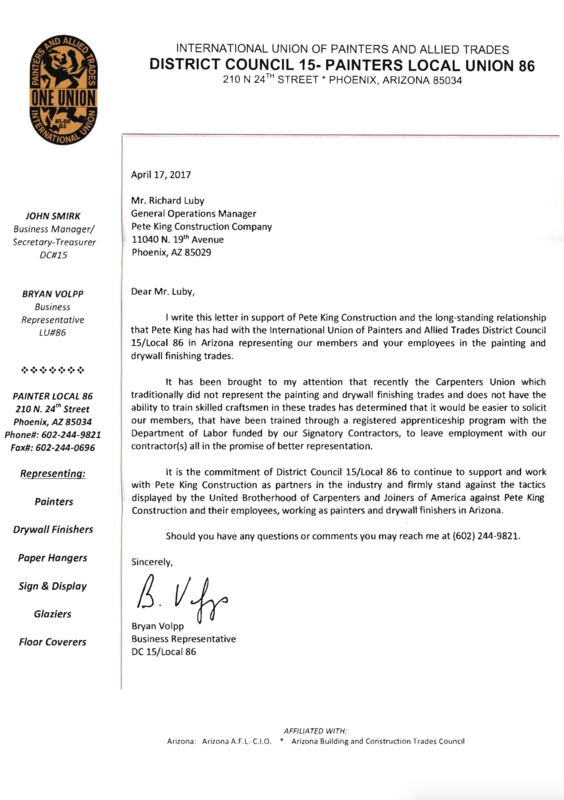 Pete King Construction Company continues to be a major part of Arizona’s construction environment. During 2016 we had an average of 438 employees per week and in 2015 we had an average of 342 employees per week. All employees are required to complete an I-9 at time of hire and must provide documentation as required by I-9’s under federal regulations. Our firm abides by all federal and state regulations relating to E-Verify. 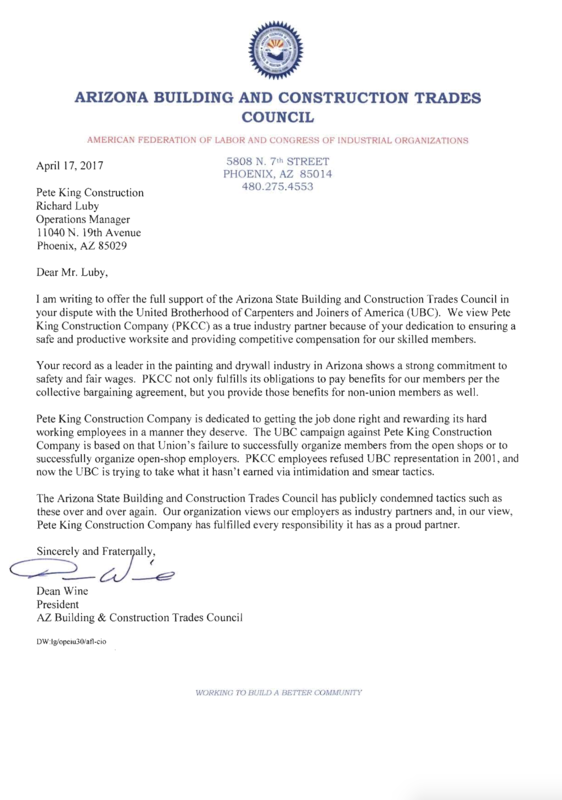 All painters and tapers employed by us are part of the collective bargaining units as indicated. We pay union hourly rates and union benefits in accordance with the collective bargaining agreements for these trades whether or not an employee is a member of the union. It is the policy of our company that no employee is to work overtime without the knowledge and prior approval of his/her foreman, superintendent or management. Overtime is defined as all hours worked over 40 hours during a pay period, Wednesday through Tuesday. Any employee violating this policy will be subject to disciplinary action up to and including termination. While our policy is established to stop unauthorized overtime, it does not mean that the company will not pay employees for all overtime worked. Any employee who works overtime will be paid for all overtime worked during a pay period. Any employee who is asked or required to record hours which does not reflect actual hours worked should immediately call: Jeffry King, President 602-944-4441. Accurate hours worked will be recorded electronically by employees using their individual PIN to Clock In and Clock Out. 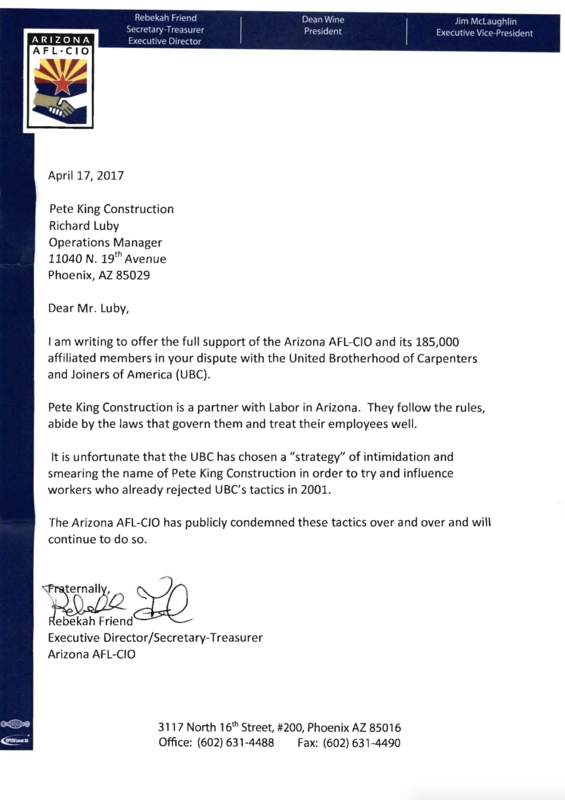 Pete King Construction Company paid $1,168,375 overtime wages in 2016 and $1,165,600 overtime wages in 2015.